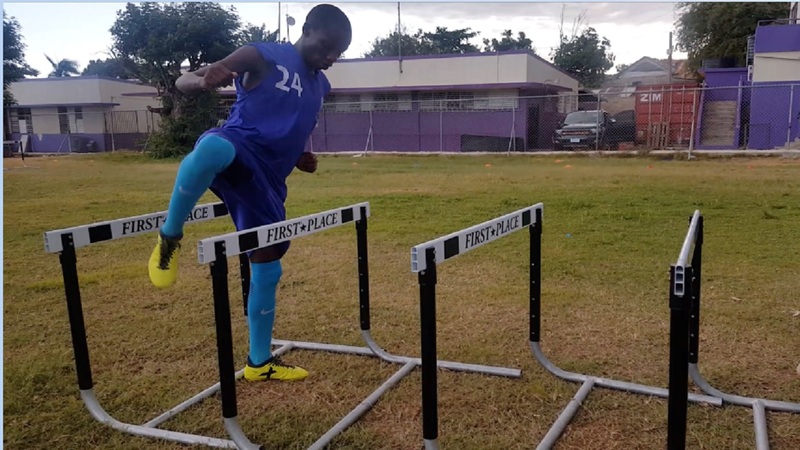 Kingston College players at a training session last week. Perennial crowd favourites Kingston College will make their debut in the 2018 Digicel Manning Cup schoolboy football competition on Monday when they tackle Dunoon Park Technical High at Stadium East at 3:30 pm. The match is one of 14 games scheduled to be played on the day. All the teams in Groups A, B, C and E will be in action, along with four of the six from Group F, which had Jamaica College and Hydel playing to a 1-1 draw in the competition’s official opening match at Montego Bay Sports Complex on Saturday. 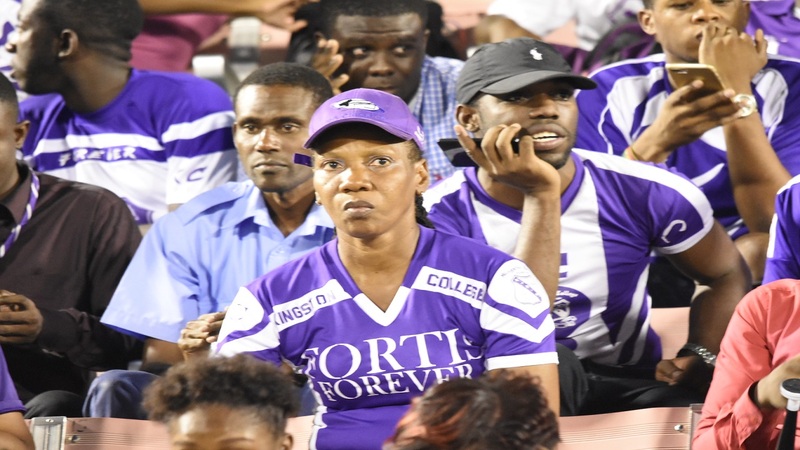 With an expectant and demanding following, the 'Purples' are looking to end a three-decade title drought, having retained the services of 10 players from last year that reached the semifinals of the competition and lost the final of the Walker Cup knockout to Jamaica College. 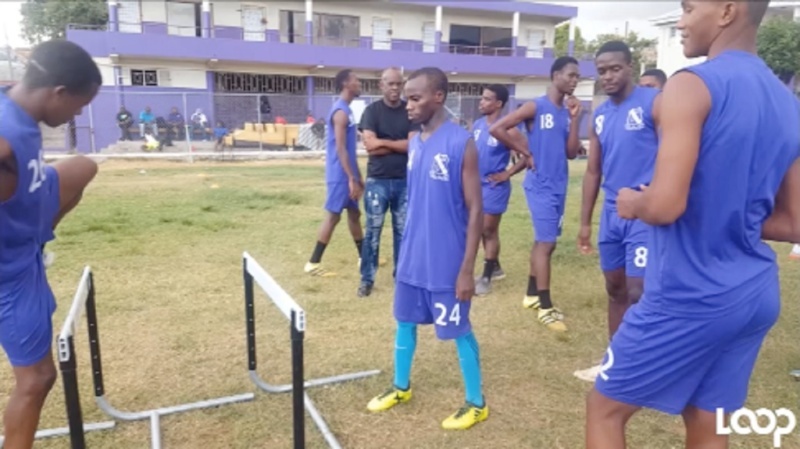 They are expected to easily climb into the second round from Group B, which also consists of nemesis Calabar, Ardenne, Clan Carthy, Dunoon and Mona High. 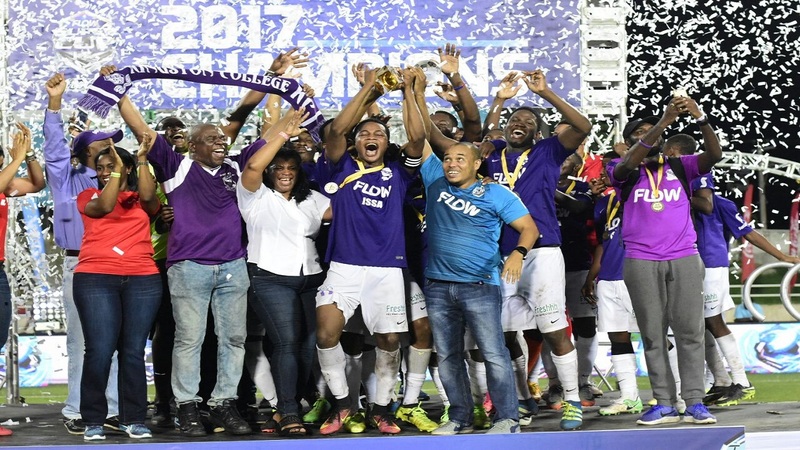 KC, with 14 Manning Cup titles, follow only Jamaica College with 29 and St George’s College with 22, as the teams that have won the Manning Cup the most. The only other teams in KC’s zone that have held the coveted title are Calabar, which have won three times, and Dunoon and Ardenne having a single title each. The quality standard at both Dunoon and Ardenne have fallen in recent years, leaving KC and Calabar as the two favoured to advance to the next phase, although Mona played consistently good football last year in the preliminary stages. KC won the Super Cup, made the final of the Walker Cup and was eliminated in the semifinals of the Manning Cup last year. Among their returning players are Treyvon Reid, Ronaldo Robinson, Nathan Thomas and goalkeeper Chadeen Rodriquez, who have been a staple in coach Ludlow Bernard starting set-up for the past three seasons. They have also acquired Munro’s striker Oneeko Allen to strengthen their chances of a title. Dunoon’s football programme has fallen off considerably from the days of their sole victory in 1998 and this year they are expected to once again be just another contender that will be competitive, but not at the standard to make an impact in the competition. Another interesting match on Monday should take place at Bumper Hall, where last year's beaten finalist St Andrew Technical High School will start their campaign against Papine, hoping to get off to a positive start as they seek to go one better in this year's competition. STATHS won the competition in 1987 and, according to coach Philip Williams, they are hoping that their current programme can bring them a title. Papine, on the other hand, were competitive in the preliminary round last year and will be hoping to improve on that this year.